RxEDO’s savings card program helps employers and members manage their prescription drug costs through discounts on retail prescription prices. 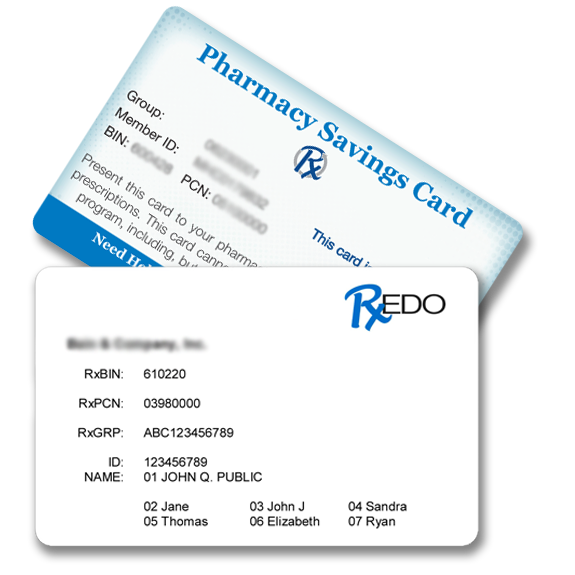 Our card is offered as a stand-alone discount card or as a “secondary” benefit that is integrated within our overall approach to delivering pharmacy benefits. The Pharmacy Savings cards are accepted at a wide variety of retail pharmacies across the country, carry no restrictions for eligibility and deliver significant savings compared to retail prescription prices for those individuals faced with the full retail cost of a drug.